I have this sign hanging near my back door, I have had this sign hanging somewhere in my house for the past several years. I look at it often and sometimes it really stops me in my tracks and makes me ponder the question. 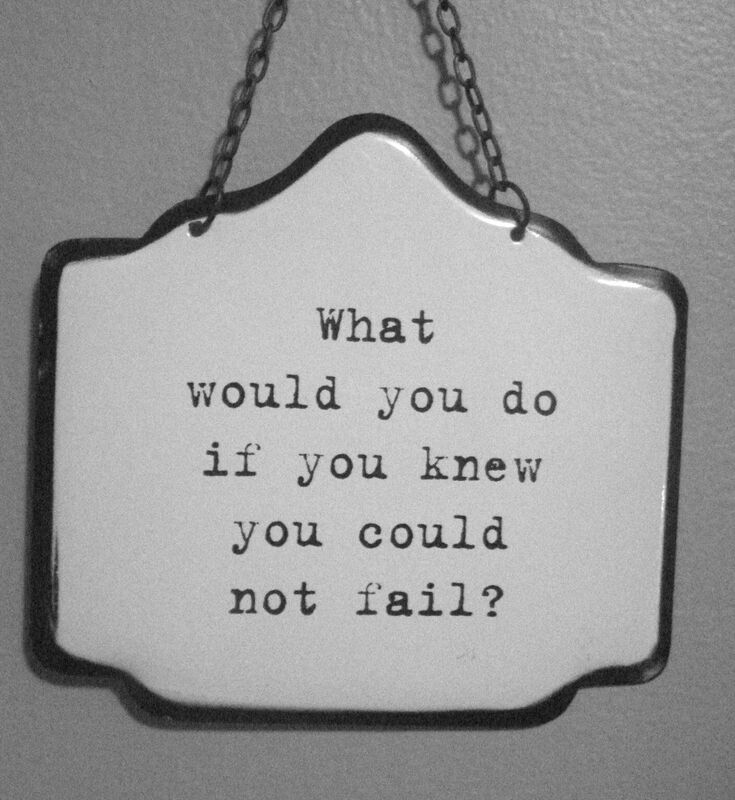 What would I do if I knew I could not fail? To me I have to keep it real, I mean if I had magic powers and could not fail; I would end world hunger, make sure every living creature had a comfortable place to live and that every being cared for one another equally and without prejudice. These are the things that I really want to happen, but these are things that we must all work on together, not just me and my magic powers. So, back to the “What would I do…” in the context of a satisfying accomplishment for myself; if I had full knowledge that I could not fail. Posted on May 8, 2013 by elizagal •	This entry was posted in Health, Motivation, Running, Self awareness, The Journey, Uncategorized and tagged Health, inspiration, lifetime journey, mental-health, motivation, Philanthropy. Bookmark the permalink. Winning could certainly make a lot of things possible :).